Divide Board Shop is located in beautiful Winter Park, CO just 7 minutes from Winter Park Resort. 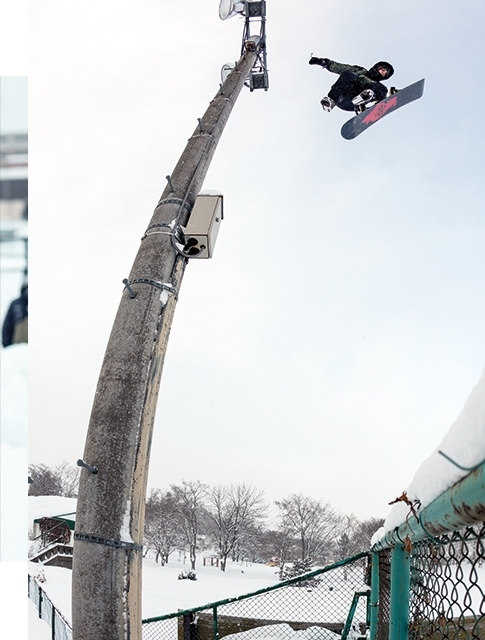 Divide Board Shop carries the best snowboard brands in the snowboard industry. Come by our shop and our knowledgeable staff can assist you with Colorado’s best selection of snowboards, snowboard gear, outerwear, longboards, street wear clothing and accessories. Divide Board Shop offers a huge selection of snowboard boots from companies such as Northwave snowboard boots, Nitro snowboards, Salomon snowboard boots, thirtytwo snowboard boots, Vans snowboard boots, flux snowboard boots, and Adidas snowboard boots. Whether you have a narrow foot, wide foot or combination of both we have the perfect snowboard boot for you! All these companies have different fits, hit us up and we will gladly explain more. We generally suggest that you downsize your snowboard boot a at least a half size for the best downhill fit. After the perfect boots - move onto bindings. Divide offers a great selection of snowboard bindings from Drake, Flux, union, Gnu, roxy, Salomon, and Rome. Bindings are generally based on weight and performance: the heavier the ride, the stiffer you go. Considering performance, stiffer the snowboard binding, the better response. When placing your new bindings on your snowboard, always make sure your binding is centered up on your snowboard. You don't want your toes to hang off more than your heels or vice-versa - this will ensure a smooth even ride. Our snowboard selection is huge and we are always expanding, testing, and looking into new brands… Divide carries Lib Tech snowboards, Gnu snowboards, Arbor snowboards, Salomon snowboards, Nitro snowboards - just to name a few. All these companies have different cambers, cores, and edge hold. Whether you're looking for performance or a fun playful board we have the camber for you! Not sure what you're looking for? Just call Divide and let the experts explain all the camber types and what they are designed for. At Divide Board Shop, we hand select our brands based on performance, longevity, and comfort. The right gear makes for a more enjoyable snowboarding experience whether you’re throwing double cork 9's or just starting off. Our gear and accessories selection is always expanding, you won't see every brand - but you will see the best. Visit Divide and check out our great snowboard outerwear, snowboard goggle, snowboard gloves, balaclavas, snowboard helmets, snowboard jackets and snowboard pants featuring thirtytwo snowboard pants, thirtytwo snowboard jackets, Ride snowboard jackets, Ride snowboard pants, Neff hats, neff snowboard jackets, Spy snowboard goggles, Dragon snowboard goggles, Smith snowboard goggles, Adidas snowboarding jackets, Adidas snowboarding pants, Womens Roxy snowboarding pants, Bern snowboarding helmets, Smith Snowboarding helmets, AirHole snowboard face mask and balaclavas, Phunkshun face masks and balaclavas, Roxy womens snowboard face masks, Skull Candy headphones, CandyGrind snowboard gloves, 686 snowboard jackets, 686 snowboard pants, 686 snowboard gloves, Roxy womens snowboard jackets, Roxy womens snowboard pants, Volcom snowboard jackets and pants. Check out some of the most rad street wear, from water proof hoodies to water proof shoes. Divide carries brands like Nike skateboard shoes, LRG, Adidas skate board shoes, Vans skateboard shoes, Nixon, Nike t-shirts, Vans, mens Rvca t-shirts, mens Rvca hoodies, mens Rvca board shorts, mens Rvca pants, Womens Rvca dresses, womens Rvca hoodies, womens Rvca swim, LRG t-shirts, LRG hoodies, LRG jeans, Adidas Hoodies, Adidas t-shirts, Rome hoodies, 686 hoodies, CandyGrind hoodies, Roxy hoodies, just to name a few. Wakeboarding, Wake Surfing, Longboarding, Skating & More! Summer sports are our jam too! Jump into summer water sports with Liquid Force wakeboard, Wake surf boards, and wake skate. We carry all the wakeboard accessories, Life jackets, comp vest, wakeboard bindings, wakeboard rope, wake surf rope. New to the line is the Lib Tech surfboards and Lib Tech wake surf boards. Don't forget your longboards, skateboards and all accessories for skateboarding in style. Unless you're in the snowboard industry it can be very difficult to know what type of snowboard equipment you need to get the specific ride you're looking for. We only carry the items we want to ride and do ride - our products are tested by riders. We've been doing this for a lifetime, so trust Divide Board Shop! On the slopes or off the slopes, we got you covered!